1 That although the followers of Muhammad are never inhibited from insulting, denigrating, demonizing and or dehumanizing the beliefs and characters of non Muslims called Unbelievers/ Kuffar/ Infidels, they do not tolerate and go into paroxysms of rage and violence against any and all those who subject their beliefs to scrutiny, objective investigation and hence revealing the facts about Islam. 2 The reason for this depraved behaviour is very simple: Since they cannot EVER contradict the FACTS about their Cult Belief System called Islam which in reality is the Cult of Muhammad, they resort to exactly the same reaction and methodology that Muhammad used 1400 years ago against any and all those who questioned his veracity, challenged his claims to prophet-hood, or satirized him, be they Male or Female, Young or Old, Free or Slave. According to the Muslim records themselves in the Hadiths, Muhammad had them invariably ASSASSINATED by treachery and ambush. 3 When Muhammad’s veracity was questioned regarding his Alleged Quranic revelations by his people the Quraysh or by the Arabian Jews and Christians, he resorted to the violence of the ignorant thug because he could not extricate himself from the FACT that he was a deceiver, a liar, a mass murderer and a charlatan who was Pretending to be the Messenger of Allah. 4 Since any and all Muslim Believers must follow the Sunna al Nabawiya, that is, they must emulate Muhammad’s Deeds, Behaviour, Actions, Thoughts and Instructions, as his CLONES, then they have no choice but to Murder, Slaughter and Destroy any and all those whom they perceive as questioning the truthfulness of the Quran or Insulting Muhammad, just as Muhammad did 1400 years ago. 5 Most people whether they are Muslims or not, truly believe and think that the Quran is a Holy Scripture. 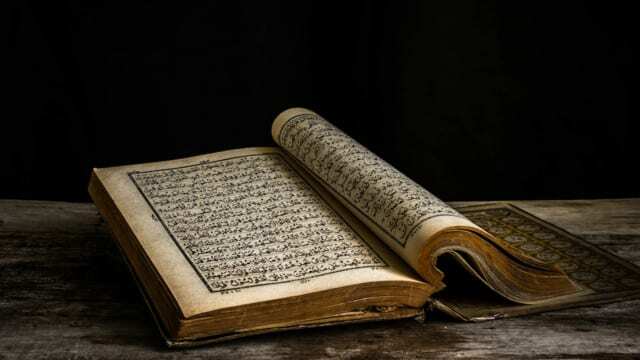 In reality, when the subject of the Quran, its formation, its authorship and its compilation are studied based entirely on the Arabic of the Muslim sources, the readers will have absolutely no choice but to conclude that the Quran is neither HOLY nor is it a Scripture. a) The most PERFECT Muhammadan Muslim state is that of the TALIBAN in Afghanistan. c) The most reviled and unacceptable Muslims are those who disagree with the above and who would like to have decent relationships with all other human beings, the so called Unbelievers/ Kuffar. d) The best allies and helpers of Muslims and Islam are IGNORANCE and STUPIDITY. e) The worst ENEMIES of Muslims and Islam are KNOWLEDGE of Muhammad’s Quran and his Sunnah comprising the foundations of Sharia. To prove IQ al Rassooli’s revelations and conclusions are accurate beyond a reasonable or even a shadow of a doubt he has put up the following challenges on his web www.inthenameofallah.org not only to the followers of Muhammad but actually to every human being on the face of planet Earth. Plagiarized, Plundered, Pirated and or Perverted from the Hebrew Bible, the New Testament, Zoroasterian and Pagan Arabian Religions, their Traditions, their Fetishes and or their Scriptures. We have absolutely no doubt that no follower or followers of Muhammad would take up this challenge since their arguments have to be backed up with facts, reality and intellect to win. In fact, we know that the probability of such a person existing on Earth is equal to the probability of finding a Snowflake in Muhammad’s Inferno. As always, in every single article published by America Out Loud, we demolish the Cult of Muhammad called Islam by relentlessly and utterly discrediting Muhammad as a prophet and the alleged divine origin of his Quran based entirely on the Islamic sources themselves.